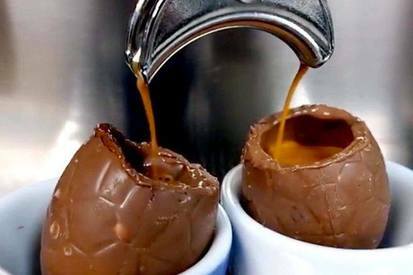 Coffee shops across the globe have started serving coffee in chocolate Easter eggs! Would you try it? Click like if you would!